All medicines carry some risk of adverse events; although certain risks are identified when medicines are tested during clinical trials, others aren’t recognized until after the medicine is on the market and has been used in “real world” settings. Adverse events not only endanger the health of patients, but if not well managed, they may also result in patients stopping their treatment early. For tuberculosis (TB), premature discontinuation of medicines has serious consequences for both the individual and their community. Patients who stop their treatment early remain sick, develop resistance to the medicines, and risk spreading TB to others in their community. 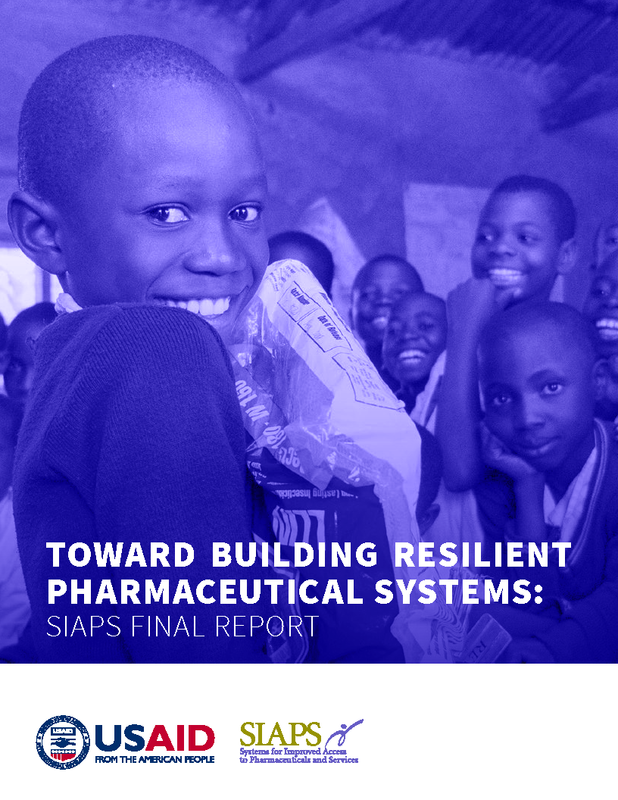 To help patients complete their full course of TB treatment, the United States Agency for International Development (USAID)-funded Systems for Improved Access to Pharmaceuticals and Services (SIAPS) Program created a guide for national TB programs (NTP) on minimizing medicine risks. The guide Preventing and Minimizing Risks Associated with Antituberculosis Medicines to Improve Patient Safety offers insights into planning and implementing risk-reduction strategies in the treatment of TB. The first step toward medicine-risk reduction is for the NTP to work with key stakeholders to identify factors that can prevent individuals from successfully completing their treatment. The guide notes that this stage involves answering questions such as, “What can happen to a patient on this medicine?” and “At what point will this happen?” Once risks have been identified, the guide provides instructions for how to categorize them according to severity, on the basis of considerations such as the likelihood of each risk and the estimated number of people that will be affected. From this ranking, NTPs can then develop solutions to mitigate the identified risks. Solutions can include interventions, such as SMS messaging to remind patients about how to safely take their medicines or creating information guides for health care providers on topics like medicine safety for individuals with both TB and HIV. Preventing and Minimizing Risks Associated with Antituberculosis Medicines to Improve Patient Safety provides the tools and resources needed to ensure that appropriate measures are in place to keep patients safe.